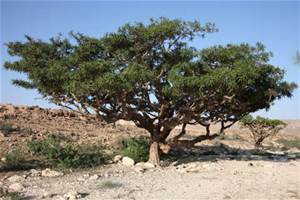 Frankincense, an oily gum resin from the tree Boswellia sacra and related species, is named in the Bible as one the three gifts given to the baby Jesus by the ‘Three Wise Men’. It has been used for thousands of years in many different cultures. The name ‘frankincense’ is derived from the Old French ‘franc encens’, meaning pure incense or, more literally, free lighting.